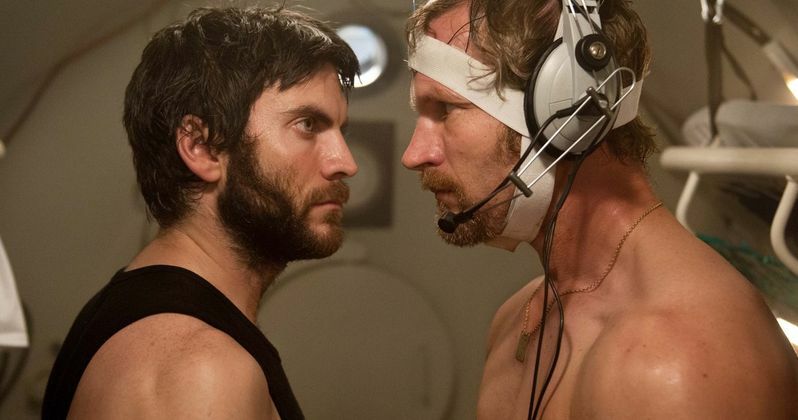 We have an exclusive TV spot for writer director Erik Skjoldbjærg's conspiracy thriller Pioneer, starring Wes Bentley. Set in the 1970s at the beginning of the Norwegian Oil Boom, a professional diver is on a mission in the Norwegian Sea when a sudden, tragic accident changes everything. Pioneer will be released in theaters and OnDemand this Friday, December 5. Inspired by real events, Pioneer's story starts in the 70s, as enormous oil and gas deposits are being discovered in the North Sea. Authorities aim to bring the oil ashore through a pipeline over 1600 feet deep. Petter (Aksel Hennie), a professional diver, is obsessed with reaching the bottom of the Norwegian Sea. Along with his brother Knut (André Eriksen), he has the discipline, strength and courage to take on one of the world's most dangerous missions. A sudden, tragic accident changes everything. Petter is sent on a perilous journey where he loses sight of who is pulling the strings. Gradually, he realizes that he is in way over his head and that his life is at stake. Experience some of the drama and excitement of Pioneer with our exclusive footage. And then be sure to check out the movie this weekend. It's OnDemand, so you have no excuse for missing what will surely be one of the most talked about movies of this December!